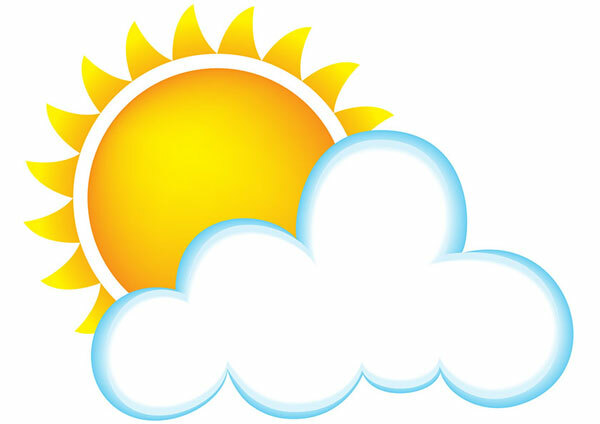 We often talk about the weather in terms sunny day or cloudy one. Clouds cover the sky and block the sunlight from passing through them. These clouds are made of tiny droplets of water and ice crystals. Clouds float above in the atmosphere. Sometimes their color is white and sometimes dark. The Study of the clouds and their formation helps in predicting the weather accurately. Hot air has the capability of holding more water than the cold air. When the hot air rises above in the atmosphere and cools again, the water that it carries condenses into the small droplets. As a result, the clouds is formed. Clouds are made of very small droplets. These droplets fall very slowly, much like dust specs. But, the hot constantly rise above, which also rise the droplets again. This results into the floating droplets that don’t fall and continue to remain above in the atmosphere. High Clouds: These clouds are mostly in frozen form. They are formed 20,000 feet above the ground. The types of high clouds are Cirrus, Cirrocumulus, and Cirrostratus. Middle Clouds: This cloud is made of both water droplets and ice crystals. They form between 6,500 and 20,000 feet above the ground. Middle clouds include altostratus, altocumulus, and nimbostratus. Low Clouds: These are low lying clouds which form below the 6,500 feet altitude. They are mostly made of droplets. These clouds include stratus and stratocumulus. Vertical Clouds: These are the longest clouds which are formed 1,000 feet above the ground. But, their size increases up to 60,000 feet high. This type of clouds includes cumulus and cumulonimbus. When the clouds are formed on the ground, they are called fog. When rain and snow fall the clouds, it is called precipitation. Clouds can have millions of tons of water stored in them. Other chemicals can also make clouds. Jupiter’s and Saturn’s clouds are mostly made of ammonia. Abdul Wahab, "Clouds," in Science4Fun, April 13, 2019, http://science4fun.info/clouds/.